Hello all! I am finally back to blogging. I have been off track for sometime I feel that there is so much info and products I want to feed you guys! Well to kick it off I would like to start with the latest product in my purse. I always had this problem and I am sure most of you do and it's finding the right foundation that fits your skin so perfectly that you wouldn't need to apply it on your neck because it matches you! But here is the catch, once you do find the foundation you kinda end up screwing it with the wrong shade of powder. This kinda always happens to me so I end up wasting a lot of money. However, I was advised to use a translucent powder and I had that checked out but I had to agree that most of them give me a ghostey-whitey corps bride kinda look, until the ray of light shined upon this amazing product! Yes, it's the MUFE HD powder that is absolutely fine and soft and velvety with a universal shade that fits all skin colors. I happened to be using this for a while now and I love it. It keeps my skin looking absolutely matte and fresh and keeps the true color of my foundation =D. Aside from all this, it is so soft and feels so goooooood! I sometimes apply it to the back of my hand! It is so light and gives you an airbrush finish. 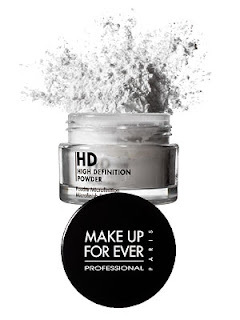 This powder can be used alone or applied over your foundation (which i recommend). I use it with the MUFE HD foundation and it goes on perfectly. I really recommend this product and I think that you guys should take a bite off it. Additional info: This product is worth DHS130 /or you can use the currency converter on the right hand bar that I provided.